[PDF] Storey's Guide to Raising Turkeys, 3rd Edition: Breeds * Care * Marketing | Free eBooks Download - EBOOKEE! Description: Here is everything you need to know to raise turkeys successfully, from selecting the right breeds to housing, feeding, breeding, health care, marketing, and much more. This all-new edition of the best-selling classic covers a wide range of breeds, humane raising practices, pastured feeding methods, organic certification standards, and on-farm processing guidelines. 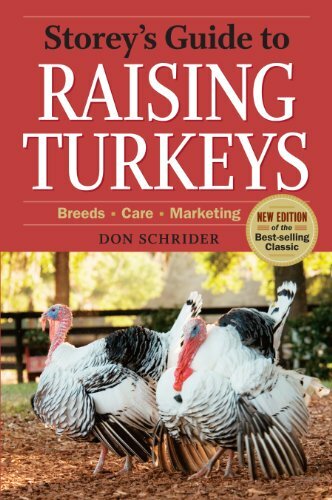 No comments for "[PDF] Storey's Guide to Raising Turkeys, 3rd Edition: Breeds * Care * Marketing".